Ask A Hillcrest MARKET EXPERT! DESCRIPTION One of the highest elevated lots in Airdrie allows this home to have great Rocky Mountain VIEWS! On top of that, backing onto pathways and a large playground area. This 2 storey walkout basement, 3156 sqft home on all three levels offers great space for family and company! 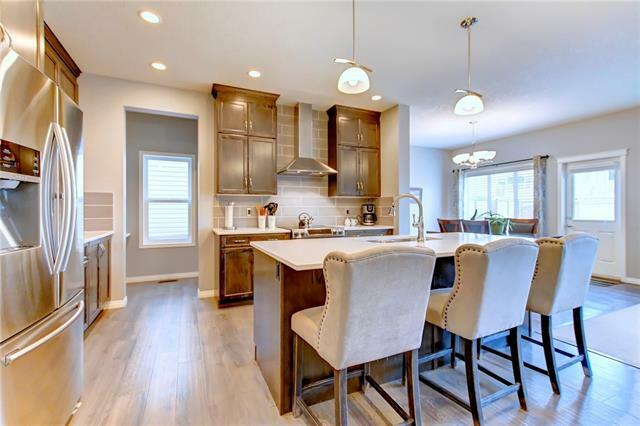 The main floor features hardwood maple floors, beech wood cappuccino stained cabinets, granite counters, island with seating for three, double granite sinks, pendant lights, and a walk through pantry. Dining can easily suit 10-12 people for large dinners, and Hunter Douglas blinds throughout the home brings great daylight inside and show off great views. Upper level bonus room is a wonderful peaceful family area with 2 bedrooms separate from the spa like master bedroom. The master ensuite boasts a water closet, his and her sinks, a walk in glass shower, a walk in closet and shelving.You’ll love the upstairs laundry room also.The walkout basement is excellent for your large TV with surround sound and wet bar open to the outdoor patio. The 4th bedroom and 4 piece bath allows guests or larger families. The outside offers low maintenance landscaping in front, in ground sprinklers, shed, exposed concrete walkway, and hard landscaping shaping the perennials in the backyard. The photos and 3D walkthrough Tour say it all, don't forget to have a look! Courtsey of GREATER CALGARY REAL ESTATE. Home for sale at 151 Hillcrest Ht Sw Airdrie, Alberts T4B 4C2. 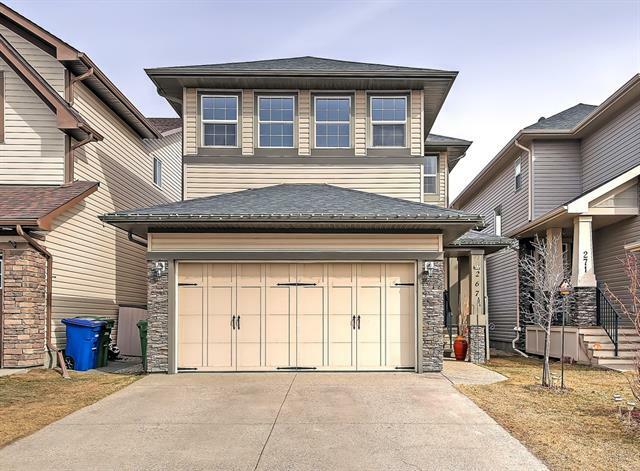 Description: The home at 151 Hillcrest Ht Sw Airdrie, Alberta T4B 4C2 with the MLS® Number C4236214 is currently listed at $719,900.